Continuing our (unplanned) month-long streak of graphic novel and comics reviews, this week's Book Giveaway is the first two issues of Giles: Girl Blue, a spin-off from the popular Buffy the Vampire Slayer comic. 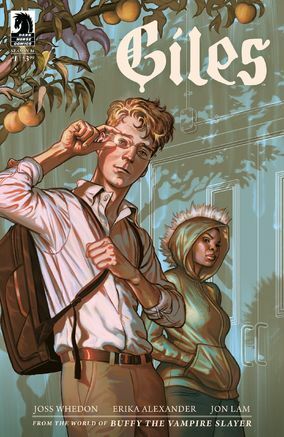 The title is written by Erika Alexander and Joss Whedon, and illustrated by Jon Lam. A full review will be posted shortly.